Oh my goodness – great capture of the joy of the first slide! Awww she looks like she’s really loving it!! Love that thomas the train in playing out too! So cute. The one of your lil girl at the bottom is priceless, She looks like she is having the time of her life. bless her. Great pictures. Both so cute. haha sometimes he comes along too & Mack!! 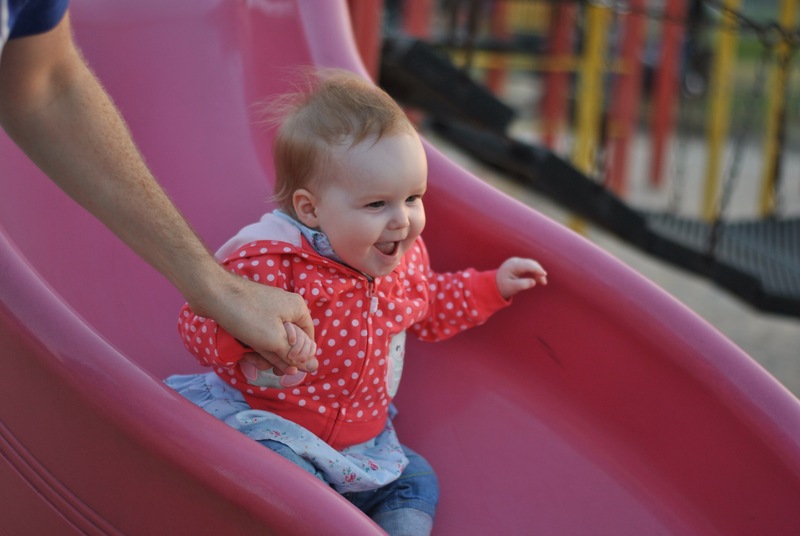 Darling pic of baby coming down the slide!